Hearing implant manufacturer Cochlear is counting on its Nucleus 6 device to have a huge impact on its 2014 financial results. According to news from the AAP published via The Australian, the company describes the Nucleus 6 as “the most advanced cochlear implant sound processor” ever released. It has five times the processing power of the Nucleus 5 and can automatically process sounds such as speech, noise or music, according to the patient’s sound environment. The rollout of the device is underway in Europe after it was recently approved, while regulatory approval for other markets, including the United States, is expected during the year. “We do think that how we go with Nucleus 6 will be important in terms of how fiscal 2014 will look, both in terms of various regulatory approvals and our ability to execute on these launches,” said Cochlear chief executive Dr. Chris Roberts. On Tuesday Cochlear reported a net profit after tax of A$132.6 million, which is a 16 percent drop from the A$158.1 million a year ago. 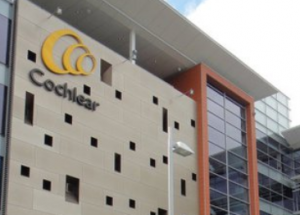 According to Reuters, Cochlear has already expected its full-year net profit to fall by as much as 18 percent, and also noted weaker sales in the second half and slow market growth in the US ahead of the Nucleus 6 release. Dr. Roberts also said on the AAP report that a record number of patients around the world received a Cochlear implant in the 2012/13 period but sales in the Americas has fallen four per cent to $284.4 million. While the sales in Europe, Middle East and Africa also dropped, the Asia Pacific region was a huge gainer, with sales growing by 20 percent to $147.6 million due to a large tender sale to China.